One of the easiest ways you can get your customers sharing with your brand this Valentine’s holiday is to run a simple, online photo contest. 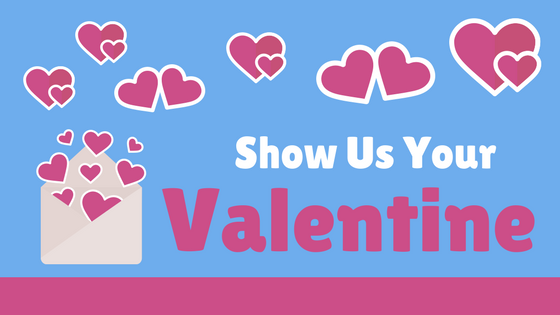 Launch a Show Us Your Valentine contest, and ask customers to upload images of themselves with their Valentine. At the end of the contest, pick one lucky winner to recieve something from your brand. For example, you can provide them with a free product sample, a special experience at your place of business or even just a feature on all of your social media pages. Want to get your customers exciting and talking about your products or business? Host a Show Us The Love promotion. This type of camapign asks customers to share photos of themselves actually interacting with your product or brand in some way. Are you a restaurant owner? Ask customers to share a photo of themselves enjoying a meal. Own a party facility? Ask vistors to share images of themselves enjoying a party or open play experience. Similar to above, incentives and prizes can help to get more people involved and sharing. If you happen to have the type of business that your customers will visit on Valentine’s Day, you have a unique opportunity to engage with them in person through a photo campaign. Have your staff take photos of your customers as they enjoy their date night, and provide them with a giveaway at the end of their meal or experience. Or, allow your guests to take and share the photos with your by launching a PhotoTouch QuickPics campaign. Your guests will walk away with a great memory of their time at your business, as well as with a tangible memory in the form of a photo. Interested in launching a photo-centric campaign for Valentine’s Day? Check out PT QuickPics to get planning!